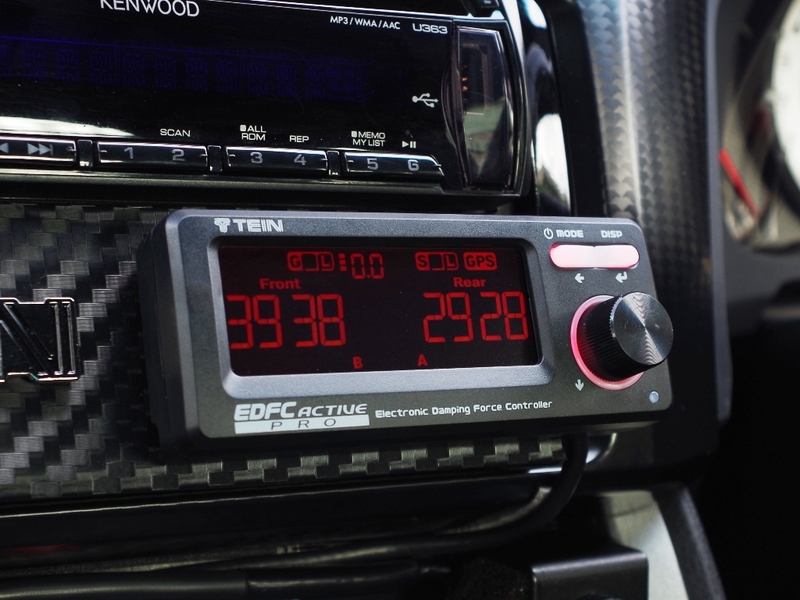 EDFC ACTIVE PRO is a high-spec version of EDFC ACTIVE, which enables automatic adjustment of damping force according to the changes in longitudinal G-force and vehicle speed, and comes with new and upgraded functions. * This product does not adjust vehicle ride height. EDFC ACTIVE & EDFC ACTIVE PRO Users Forum Facebook Page. Please use this forum to publish & share setting data and/or to explore & discuss about usage examples, ideas & tips. Setup sheet is available in Excel and PDF formats. Please download from the links below. EDFC ACTIVE adjusts front and rear damping force separately, but left and right simultaneously. With EDFC ACTIVE PRO, damping force for all 4 suspensions can be adjusted separately. This enables finer adjustment according to the road layout and conditions. This feature also works with automatic adjustment. While EDFC ACTIVE enables automatic adjustments based on changes in acceleration/deceleration (longitudinal) G-force and vehicle speed, EDFC ACTIVE PRO adds the capability to adjust to lateral (cornering) G-force change. This feature offers the advantages of ability to suppress side rolls, to balance distribution of left/right cornering loads and/or to increase cornering speed. In addition, understeering/oversteering can be controlled by adjusting front/rear damping force separately. This lateral G-actuated adjustment can be combined with longitudinal G-actuated adjustment for a full 360-degree adjustment and/or with speed-sensitive adjustment for most comprehensive adjustment. This is useful not only for improving times on tracks/circuits and drivability, but also for daily driving as stable cornering can probably have positive effects on reducing burden on drivers and on minimizing tire abrasion. 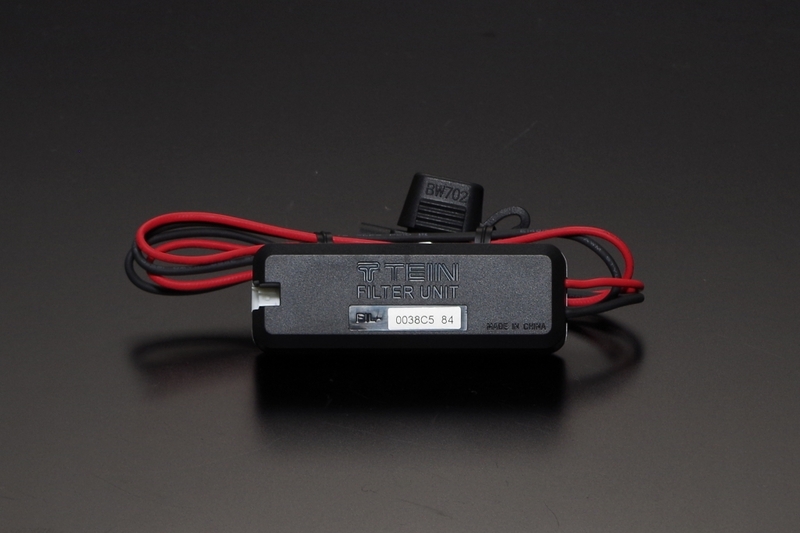 In addition to the vehicle speed calculated by the use of optional GPS kit, EDFC ACTIVE PRO can adjust damping force according to the vehicle speed signal data obtained via external input port. 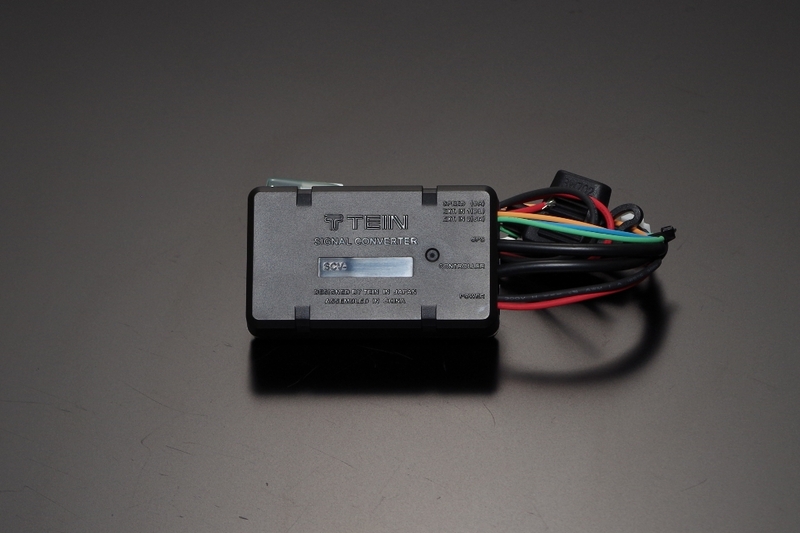 This enables uninterrupted speed-sensitive adjustment even when/where GPS signal is not available. It is required to know the type of speed pulse because it varies quite a bit by vehicle models, but EDFC ACTIVE PRO can be programmed easily without such details. To set up, nothing other than the controller is needed. *Acquisition of speed signal might not be possible with some vehicle models. Speed signal might not be obtained properly, if any of related parts/components are modified and/or replaced by non-OE products. In such case, the speed-sensitive adjustment is only available with optional GPS kit used. EDFC ACTIVE brought the automatic damping force adjustment into reality, but there are customers asking more. "I want to have more control over the car." "I want to give my own cue, independent of G-force and speed change." EDFC ACTIVE PRO comes with 2 external input ports in order to meet such needs. While the signal is on, the damping force is adjusted to and stays at the preset level. 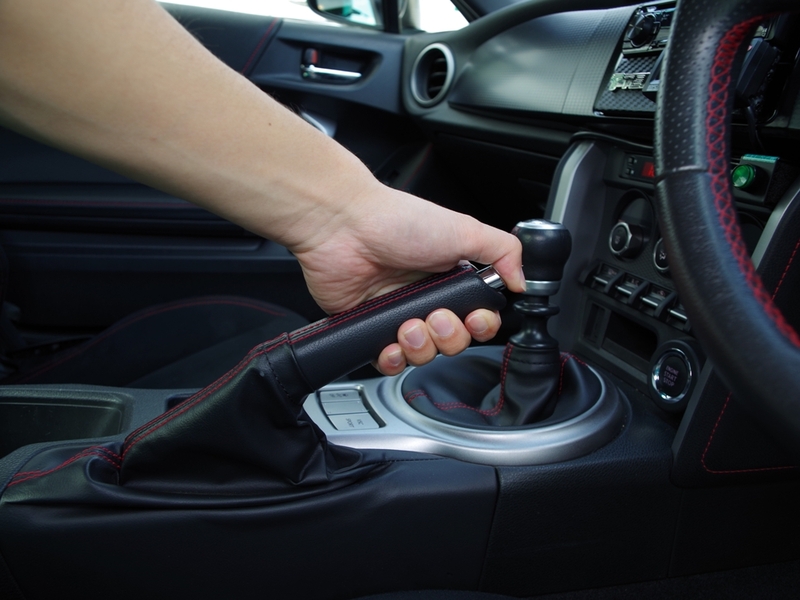 For example, it can be connected to the parking brake signal for better drifting, to a universal switch to turn it on when the driver sees the slippery surface, and so on. Each and every driver can use these ports as he/she likes, for wider varieties of purposes. There is only one simple dial to set damping force to desired levels. Up to 10 presets are available to store and quickly recall preferred settings, according to the changes in situation. 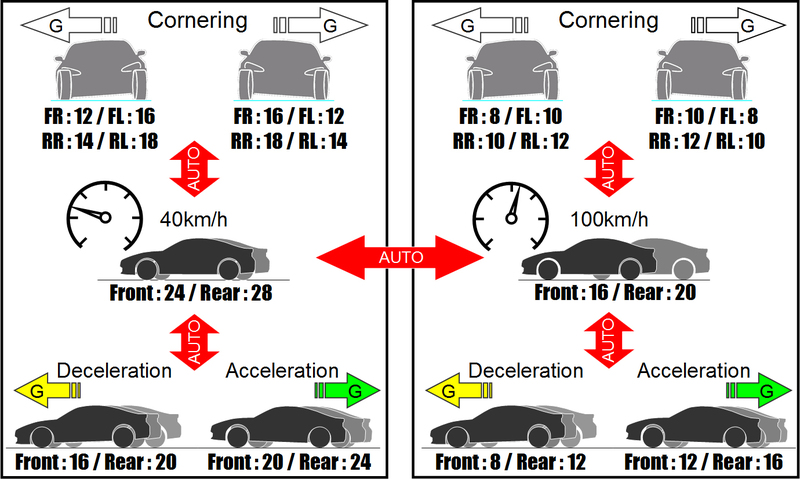 This mode enables automatic adjustment according to the changes in lateral (cornering) G-force. 2 separate modes available; "G-Arrange Mode" to adjust damping force when G-force reaches the preset value (max 10 memories) each time, and "G-Linear Mode" to adjust linearly according to the preset G-force values, automatically supplementing the values in between. For example, damping force is set to softer level while running on street roads to absorb unevenness on road surface smoothly and set to harder when cornering to suppress side rolls for smoother handling and ride comfort. On circuits, understeering/oversteering can be controlled by setting damping force to increase stability while braking and setting up front/rear damping force separately to correspond to degree of acceleration/deceleration. *Damping force is adjusted by the set value (relative value) from the manually set level according to the changes in lateral G-force. This mode enables automatic adjustment according to the changes in longitudinal (acceleration/deceleration) G-force. 2 separate modes available; "G-Arrange Mode" to adjust damping force when G-force reaches the preset value (max 10 memories) each time, and "G-Linear Mode" to adjust linearly according to the preset G-force values, automatically supplementing the values in between. For example, on streets, damping force is set to softer level while driving at constant speed to absorb unevenness on road surface smoothly and set to harder level when accelerating/decelerating to suppress unnecessary vehicle movement for better handling and ride comfort. On circuits, understeering/oversteering can be controlled by setting damping force to increase stability while braking and setting up front/rear damping force separately to correspond to degree of acceleration/deceleration. *Damping force is adjusted by the set value (relative value) from the manually set level according to the changes in longitudinal G-force. This mode enables automatic adjustment according to the changes in vehicle speed. 2 separate modes available; "S-Arrange Mode" to adjust damping force when vehicle reaches the preset speed (max 10 memories) each time, and "S-Linear Mode" to adjust linearly at all speed according to the preset points, automatically supplementing the values in between. 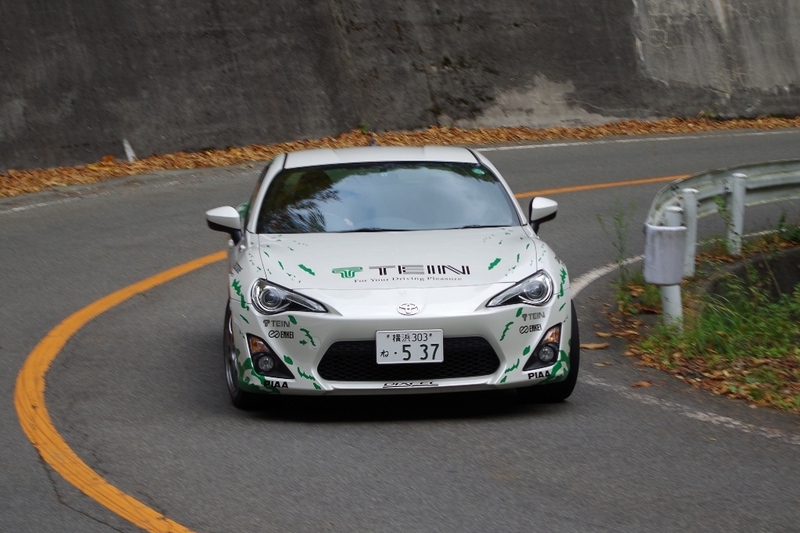 For example, on streets, damping force is set to softer level while driving slower for softer ride without any bumpy feel and set to harder level when driving faster for better stability and handling. On circuits, damping force can be controlled according to speed range to change handling performance, such as reducing understeer a bit at low speed corners and reducing oversteer a little at high speed corners. *Speed-sensitive adjustment program for EDFC ACTIVE PRO differs from that for EDFC ACTIVE, as the former adjusts by the set value (relative value) from the manually set level while the latter adjusts to the set value (absolute value). Refer to the manual for further details. While EDFC ACTIVE combines 2 modes; longitudinal G-force and speed, EDFC ACTIVE PRO can combine all 3 modes; longitudinal G-force, lateral G-force and speed. 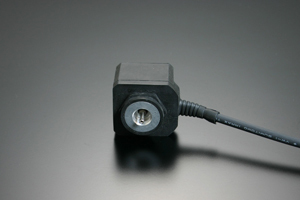 Damping force adjustment levels can be set in 3 different types; 16-level, 32-level or 64-level. 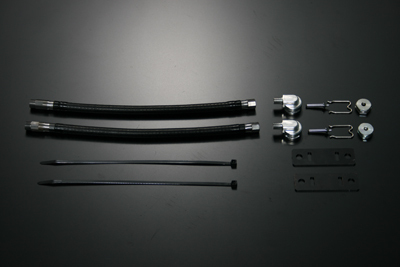 Most TEIN damping force adjustable dampers come with 16-level adjustment. Use of EDFC ACTIVE PRO adds 32-level and 64-level adjustment capabilities within the same range for finer adjustments especially in automatic adjustment modes. EDFC ACTIVE PRO features wireless control system for easy installation / wiring. 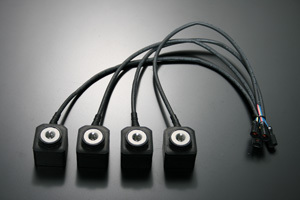 Controller unit is connected wirelessly to motor driver units which control motors, eliminating the need for troublesome wiring such as putting cables through bulkheads and/or placing/anchoring cables inside the car. G-sensor, wireless transmitter and various functions are all fit into a compact controller unit, which has wide 22x60mm display for better visibility. 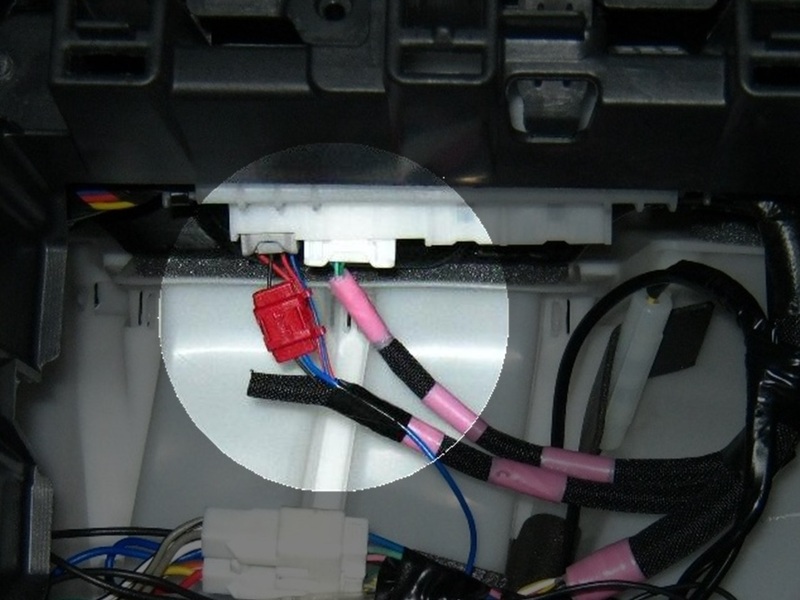 A wiring gutter on the back of the controller unit offers greater flexibility in positioning the controller unit and the cable. In order to maintain the correct damping force level, the system is programmed to perform zero-return on start-up, where all motors are rotated to the hardest (level 0) position and then returned to the previously set position. We added the option to choose the frequency, for people who do not really like the sound of motors during such operation. The user can choose from 3 options; on every start-up, once in every 10 start-ups or none at all. *It is recommended to perform zero-return periodically to maintain the correct damping force setting. *Zero-return is performed each and every time the controller itself is manually turned on. For people who do not want G-actuated adjustment to work and/or do not like the motor sounds while driving at low speed, we added the function to set the minimum speed at which G-actuated adjustment to start working. Starting point can be set between 0 to 50km/h (or 0 to 50MPH) and G-actuated adjustment would not work when the vehicle speed is below such set value. Simple one-dial operation is adopted with emphasis on convenient handling. This user-intuitive interface requires only a few basic operations to remember; turn the dial to select/adjust, push the dial to confirm and push 2 buttons above the dial to switch between the different functions. Controller has a built-in triaxial G-sensor, which offers the ability to install controller unit at any desired angle & direction. Brightness of the display and the button illumination can be adjusted automatically according to the brightness of the surroundings detected by the built-in optical sensor. 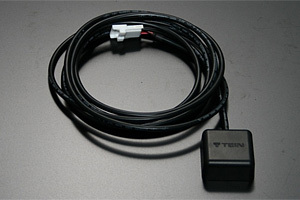 This eliminates the need for connecting cable to vehicle's illumination power supply. This function can be turned off. Brightness baseline of the display and the buttons for automatic dimmer function can be set by the user between level 0 (off), 1 (dark) and 3 (bright). 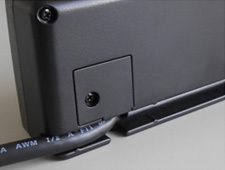 Viewing angle of display can be adjusted in 2 different angles to offer better visibility even when the controller unit is installed at an angle. Volume of "button sound/buzzer" and "auto-adjustment buzzer" can be set separately between level 0 (mute), 1 (low) and 3 (high). Operation of both buttons and dial can be locked to prevent operation mistakes. The self-diagnostic function checks the status of driver unit and/or wireless communication. If it detects any errors in driver unit (disconnection / short circuit) and/or problem in wireless connection, the result will be shown on display. EDFC ACTIVE PRO adopted the new material for the outer housing of the driver unit, for improved heat resistance. In addition to 4 default colors (white, green, amber & blue), fine-tunable custom colors are available. EDFC ACTIVE PRO controller unit is capable of controlling up to 8 motors individually with the use of additional motor driver units. All the functions, including automatic adjustment, are operational for 8 motors. In addition to the usual damping force display (with G-force bar on/off), G-force (numerical values & bar), vehicle speed can be shown. With GPS kit, altitude, longitude, latitude, trip meter and clock can be displayed. *Longitudinal G-force and lateral G-force can be displayed in numerical value and as bar display, with max-hold function. EDK05-14140 £105.00 £126.00 Compatible kit varies by vehicle models and types of shock absorbers. EDK07-P8022 £50.00 £60.00 Required for GPS data display. 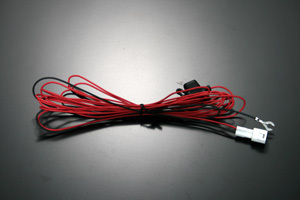 EDK06-K4474 £25.00 £30.20 Prevents wires from getting tangled up with motors when adjusting ride height. EDK08-P8514-14 £60.00 £72.00 Motor Extension Kit uses the exclusively designed flexible shaft to allow EDFC Series motor to be installed at different position away from the top part of shock absorber. Made-to-order £60.00 £72.00 This made-to-order gadget extends the piston rod top to shift the position of EDFC Series motor installation to allow sufficient space. 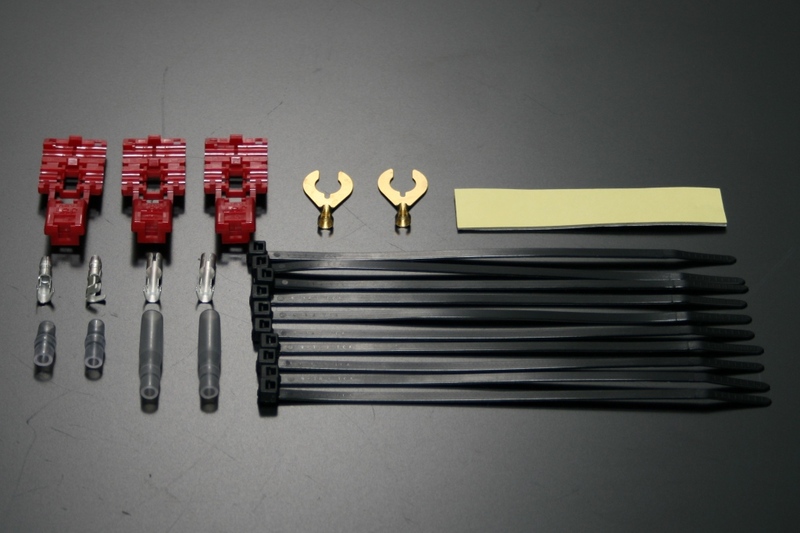 This also works with Motor Extension Kit. 1 EDFC ACTIVE PRO controller can control up to 8 motors, with additional motor driver unit(s) and related part(s) installed. * 1 Motor Driver Unit controls 2 motors. 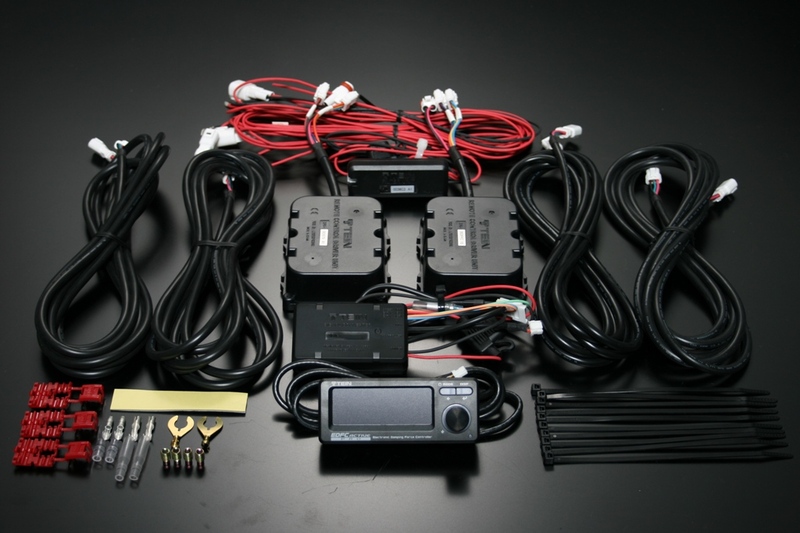 * To control 8 motors, additional 2 Motor Driver Units and some part(s) are required. Please refer to the below example. * 1 Power Supply Cable per 1 additional Motor Driver Unit is required. Please choose either Front or Rear cable, depending on the installation location. * Please purchase additional motor cable(s), if required, depending on the distance between the motor driver unit and the motor. 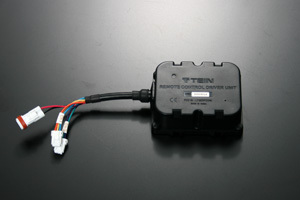 Motor Driver Unit and motors can be connected directly, without additional cable. * 1 Hex Bolt per 1 additional motor is required. <Example> To use EDFC ACTIVE PRO on SUPER RACING Damper Kit with individual comp./rebound adjustment feature, followings are required. 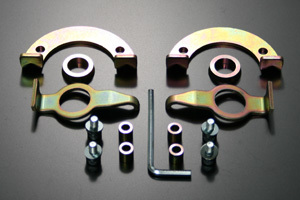 EDC01-P7370 £155.00 £186.00 Price shown is for a single part. 1 Motor Driver Unit controls 2 motors. 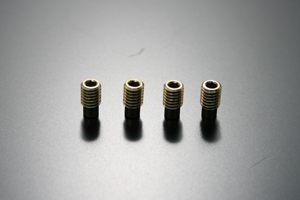 EDC01-P8024 £17.00 £20.40 Price shown is for a single part. 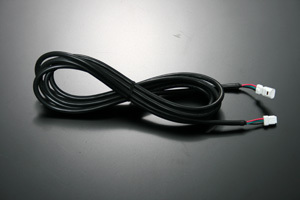 1 Power Supply Cable per 1 additional Motor Driver Unit is required. Please choose either Front or Rear cable, depending on the installation location. 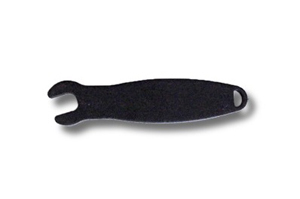 EDC01-P8026 £17.00 £20.40 Price shown is for a single part. Please purchase additional motor cable(s), if required, depending on the distance between the motor driver unit and the motor. SAP44-P8463 £3.00 £3.60 Price shown is for a single part. 1 Hex Bolt per 1 additional motor is required. EDC01-Q0351 £83.00 £99.60 Exclusively for EDFC ACTIVE PRO. NOT compatible with EDFC ACTIVE. 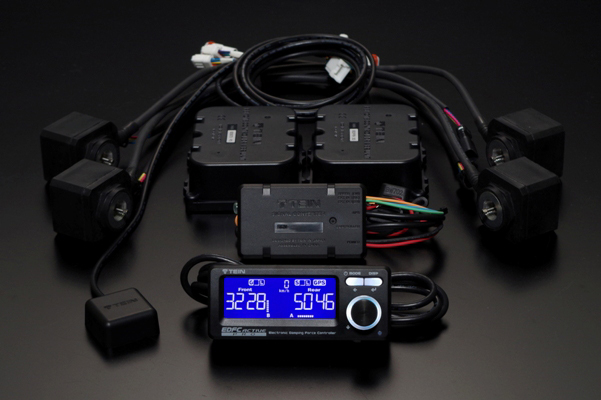 With this upgrade service, EDFC ACTIVE controller can be reprogrammed and turned into EDFC ACTIVE PRO controller, without purchasing the whole new controller kit. By adding the signal converter, all features of EDFC ACTIVE PRO can be enabled, including the automatic speed-sensitive adjustment based on the vehicle speed signal and the additional external signal inputs. ●Controller is reset to the factory default, except the following initial settings. All the user settings, such as damping force levels & automatic adjustment presets, will be deleted. 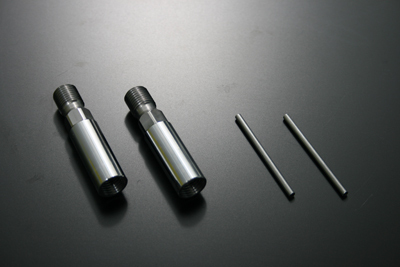 ●There might be small marks left on the outer casing by disassembly/assembly process. 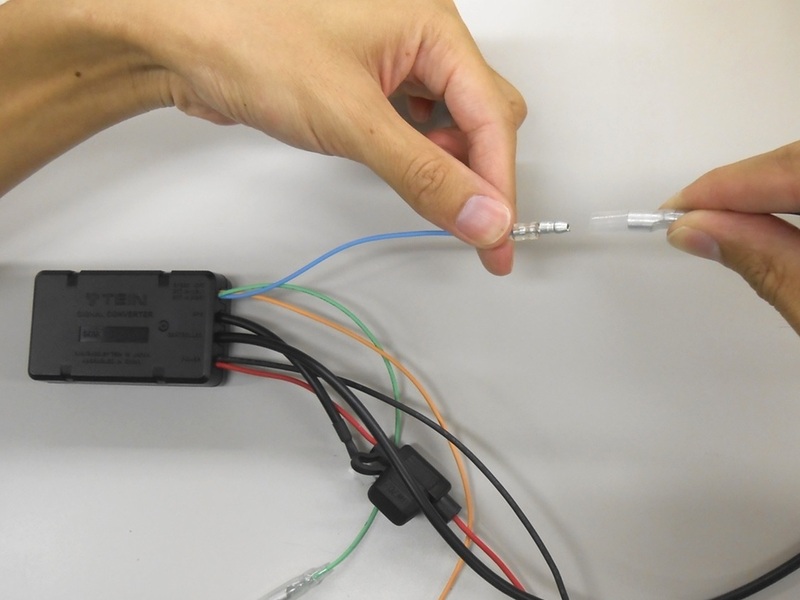 ●When uninstalling the controller from the vehicle, please handle all the connectors carefully. Applying the extra force might lead to bad/loose connection. ●If any defect/failure is found upon receiving the controller, upgrade service might not be available. ●This service is for version upgrade only and NO other service, such as repair, can be provided together. If any defect is found in prior to the upgrade service, the same defect might occur after the upgrade is done. NO cancellation is accepted in such case. Please contact the nearest TEIN dealers or send a request directly to the address shown below. For further questions or inquiries, please use the inquiry form.